Guiding a person or train one into a player is the most challenging task a person might encounter. It is not always a piece of cake, teaching a technique as every person has a different personality and an instinct of performing a task of his own. It gets even more difficult when the one whom you are teaching has adopted specific techniques already, and you might want him to learn everything from scratch. Training a person into a tennis player, its an amalgamation of art and science with all the tactics you play to make your game stronger. As modern tennis is played in millions of clubs and countries, you will get as many coaches all over the world with hundreds of different techniques varying from another. 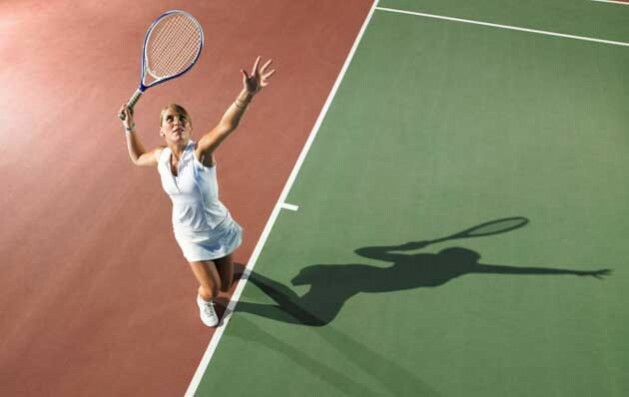 Tennis is a perfect test of the skills as well as stamina of a player. When it comes to a match, tennis doesn’t remain just a game, but competition is testing each player’s patience and impromptu instincts. With various strategies and styles, each player plays in a particular domain with varied strengths and weaknesses. It is also a skill to determine the strength and weakness of not just oneself but of the competition as well. This skill can always score major points for you in a match. Science still plays a great deal in forming the strategies in a player’s game. It is a scientific tactic that if you want to hit the groundstroke, you need to swing the racket inside out. Every swing and smash come with the experimental strategy in mind forming logic and results in the back of mind. The best coaches keep the scientific approaches in mind as they know, no matter how and what you pay, you cannot defeat the physics behind. They would instead make the mechanics their stroke point by studying the matches and videos with a logical point of view. Similar goes with the fashion of serving a forehand or backhand. Every coach forms a different opinion on it, while it is purely a pick of science. Biomechanics always hit the edge when it comes to professional level and therefore the excellent coaches take care of everything related. Brushing up the skills is yet another form of talent for a coach. The coach has to study his student very keenly to know what are the skills he already possesses and what are the skills he can achieve over time. It becomes a concern for a coach to learn about the weakness and to find a way to overcome that. If the student is good with studying the directions of the ball and where do it direct when hits a specific part of the racket, he has professional skills of playing expertly, but it is the job of a coach to nourish the talent into possession by teaching him to hit the perfect edge for an extraordinary shot.